I have posted on these before, but I brought them back again this year for one class as our art-show submission. 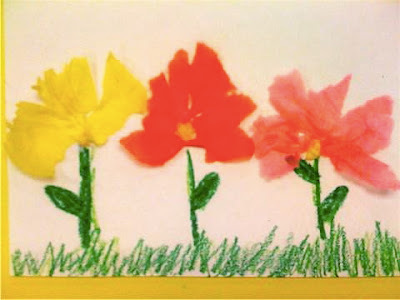 This one little 1st grader made some gorgeous flowers out of tissue paper...almost exotic-looking....and they are LOVELY. Just had to share. They aren't even finished yet--but this made me smile. Isn't it amazing what some of these little ones can do? Cool article as for me. I'd like to read something more about this theme. Thanx for giving this material.